As I write this blog post, I reflect on my seven years of experience as a Medical assistant. As a Registered Medical Assistant I learned so much about the causes germs, the effects of sickness and disease. Most importantly I learned how to stay healthy. I carried that experience into my Child Care Business and I believe mixing the two together has gave me the momentum to build a Quality, Healthy and Safe Child Care Business. Along with my experience from the medical field, going through the Accreditation process 3-4 times, has inspired me to create a healthy & safe environment for young children. Train your staff to be aware of the health & safety needs of young children in their care. This can be done in weekly memos, mentoring and/or with monthly health & safety meetings. Create an Illness policy that assures that sick children are not excepted into care and have a plan in place to isolate sick children when they become ill while in your care. Offer health & safety resources for parents on a regular basis. You are the expert and parents look to you for resources. Plan health & safety activities in your classroom(s) on a weekly basis. This could include: fire safety, hygiene practices, stranger danger, healthy eating practices, kitchen safety,etc. Idea: Sing Health & Safety songs,read stories, play healthy games, hang health related posters on the walls. Be sure to train your staff on how to effectively supervise young children. “ Safe Care is Quality care.” Join the How to Effectively Supervise Young Children email list, for more information on child supervision. Have a procedure in place that assures that your entire program is sanitized at least once a week. This will help to minimize the spread of Germs. Including, sanitizing all toys. * Sanitize mouthed toys daily. Require that at least 2 staff members (in the home or building) has CPR certification and First aid Training. After nine years of being a Child Care Center Director/Owner, I have come to the conclusion that Quality care begins with good supervision. Let me tell you how I came to this conclusion. It was obvious that she was unable to keep the children in her class safe, because every time that I stopped by the classroom, it was chaotic and she recorded at least three incident reports a day. This is when I decided to offer her some assistance and she still was not able to effectively supervise the young children in her care. Within days, the decision was made to inform her that having her work in my center was not working out. She was not the only teacher that I observed to have very poor classroom supervision skills. In fact, over the years, I have observed many early childhood teachers, that lacked child supervision skills. Have you experienced any of the situations above? 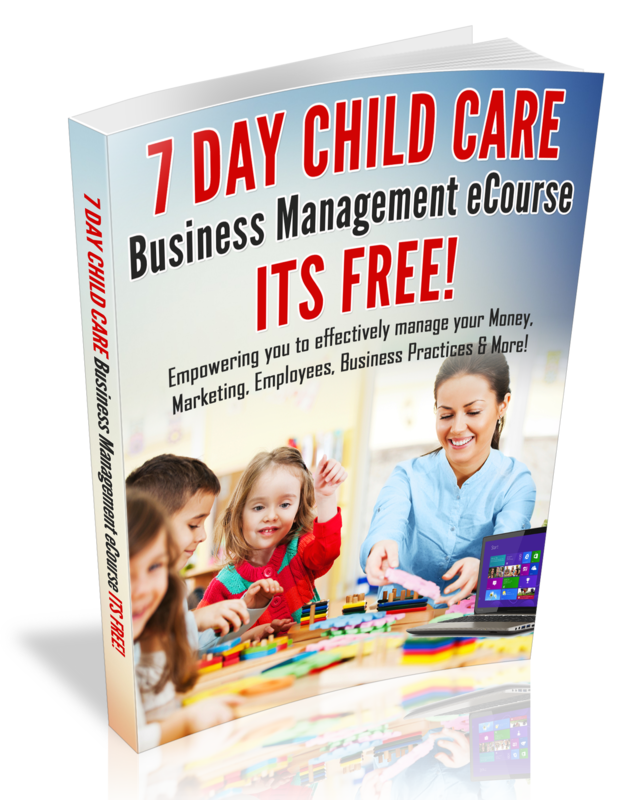 If so, you my want to Check out my eCourse: How to Effectively Supervise Young Children. For immediate strategies on how to supervise young children in your program, check out my article: Effectively Supervising Young Children. With Child Supervision in mind!